The D+D Oberlauda UltraLight Bike Mirror is designed for touring and commuting or just about any situation in which there's a need for greater visibility. 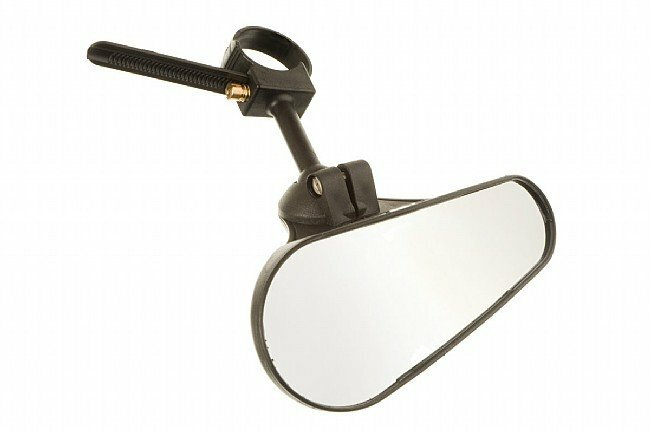 Versatile, durable, and lightweight - weighing in at less than 2 ounces - this mirror provides an amazingly wide field of view and can be mounted almost anywhere - handlebars of all types as well as forks. Great for challenging builds such as recumbents. Easy-to-adjust pivoting design. 58 grams. Made in Germany.